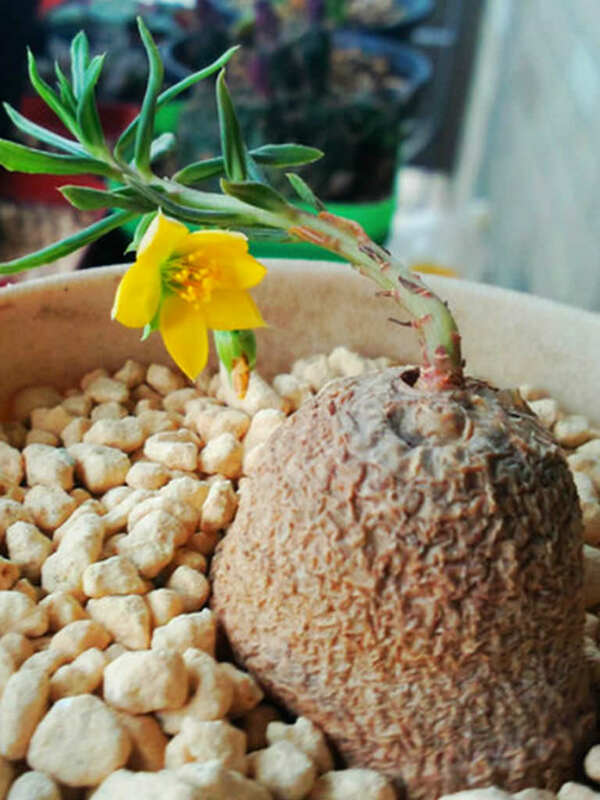 Talinum caffrum is a succulent, deciduous perennial, sometimes biennial, with a thickened, tuberous, caudex-like root stalk and erect or prostrate, much-branched stems up to 16 inches (40 cm) long. 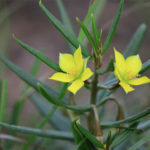 The leaves are green, up to 2.4 inches (6 cm) long and up to 0.6 inch (1.5 cm) wide, with margins sometimes rolled under. 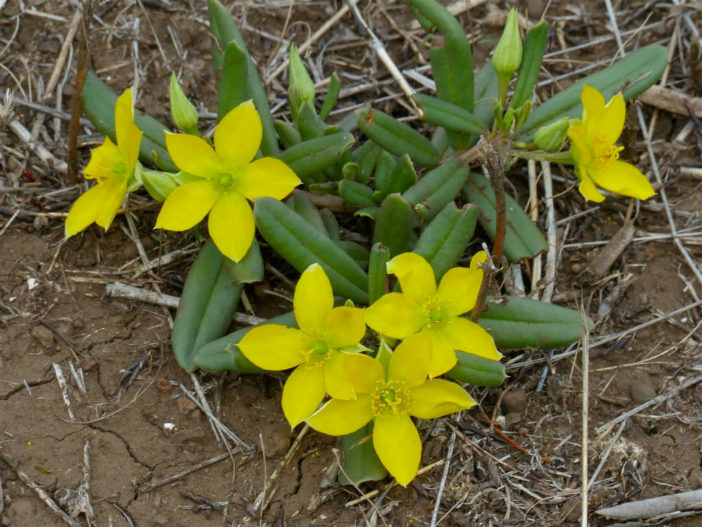 They are often succulent and deciduous, but may be semi-evergreen. 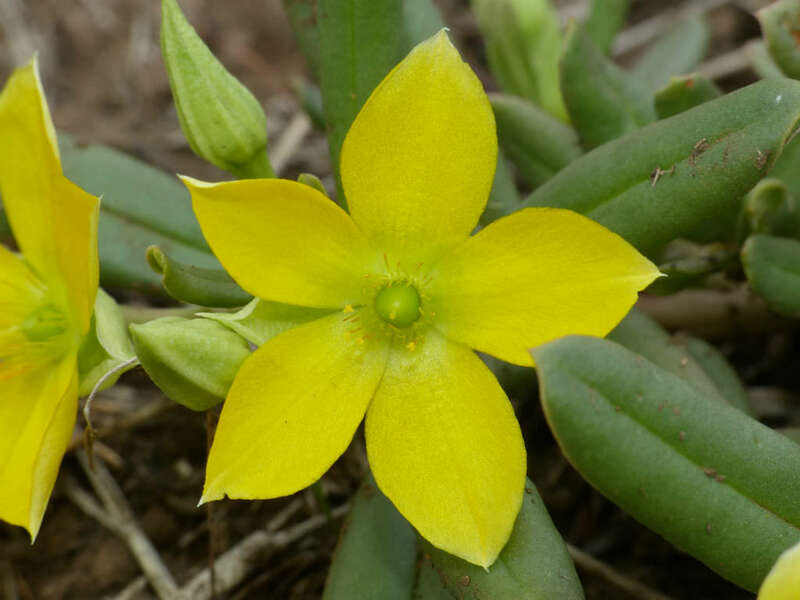 The flowers are mostly solitary, rarely in clusters of 2 to 3, yellow, up to 0.8 inch (2 cm) in diameter, opening in the afternoon and fading by nightfall. Jewels of Opar prefers a full sun location but can tolerate a small amount of shade for part of the day. Does well in hot dry areas but benefits from some watering. 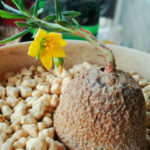 It can be drought tolerant for several weeks at a time. 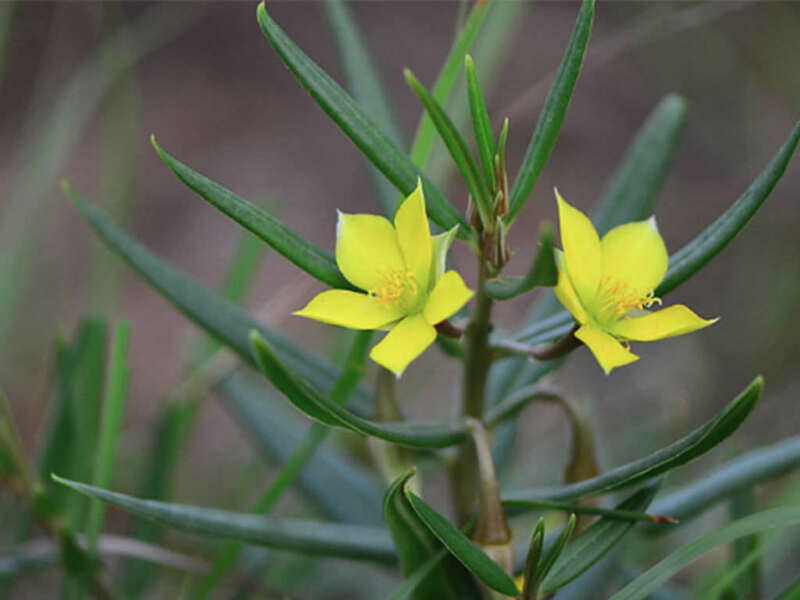 Does best in sandy and well drained soils and is tolerant of poor soils and heat. Excellent for rock gardens and hot areas where not to much else grows. 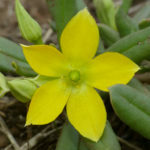 Talinum caffrum is native to Namibia, Angola and Kenya.